While Nikon is busy offering clear-the-shelves, end-of-year discounts in the US, we’re seeing a lot less Nikon love in Europe, and especially here in Switzerland. Here we’ve got the cashback that was announced early November – on a whopping 4 camera models – but certainly not a huge incentive to fill any holes in your Nikon gear bag. Furthermore, nikonrumors is now reporting that price hikes are expected on most Nikkors as of January 1, 2016 – up to 30% higher. While the currently strong Swiss Franc may offset that rise slightly, no across-the-board price hike is ever really welcome (in this case probably a currency adjustment against the Japanese Yen). I would expect that prices will increase on Nikon camera bodies as well. 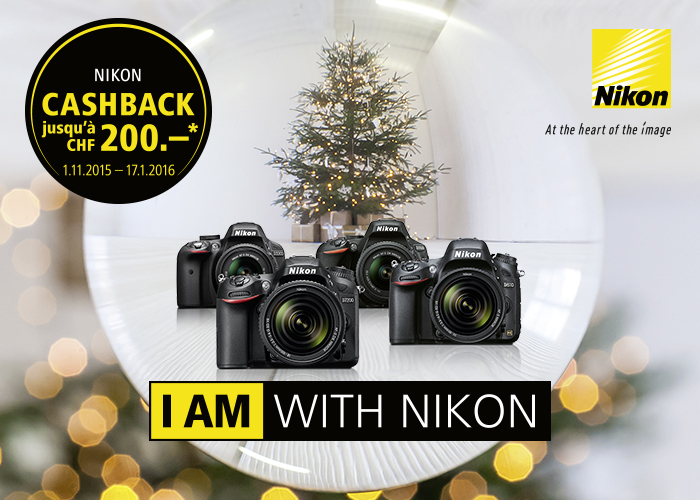 So, while the incentives are not that tempting heading into the holiday season here in Switzerland, the current prices may in fact be the best deals that you’ll see on many current Nikon products for the next year or so. Swiss buyers can also look out for further retailer discounts, which is certainly possible. I just read that Digitec will be starting their own “Black Friday” this week, in an attempt to adopt the US shopping tradition. Maybe some good deals will show up on their site on midnight Friday. In the meantime, here are links to some authorised Nikon dealers which traditionally have the best deals on Nikon equipment (some of these site only offer French and German langue choices). Please note that these are not advertiser referral links, I do purchase gear from both sites. Of course I’m not trying to dissuade you from going to your local camera shop. By all means, support them if they competitive pricing.